Hello crafty friends! I’m Yoonsun Hur and am so happy to be a guest designer here on the Spellbinders blog. 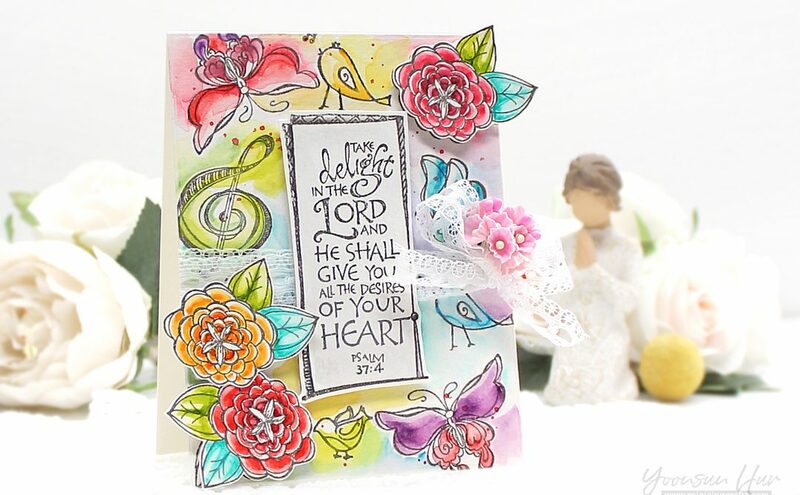 In February, I will be sharing greeting cards with you using so beautiful Bible Journaling collection by Joanne Fink. 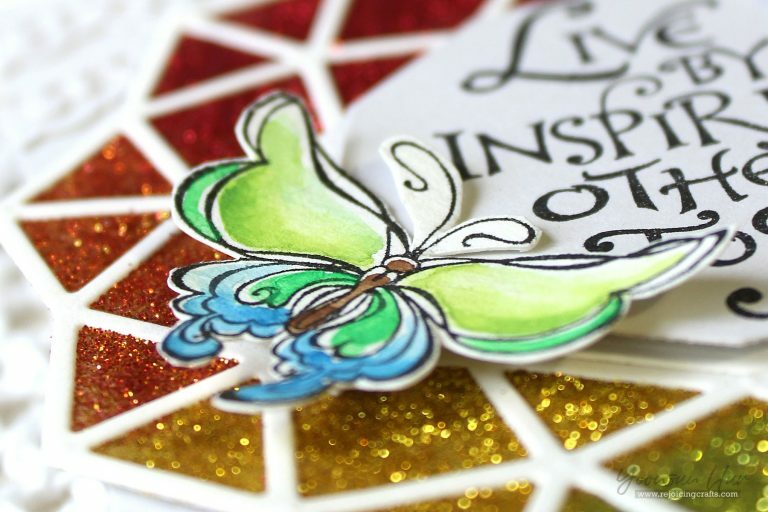 It is so inspiring! 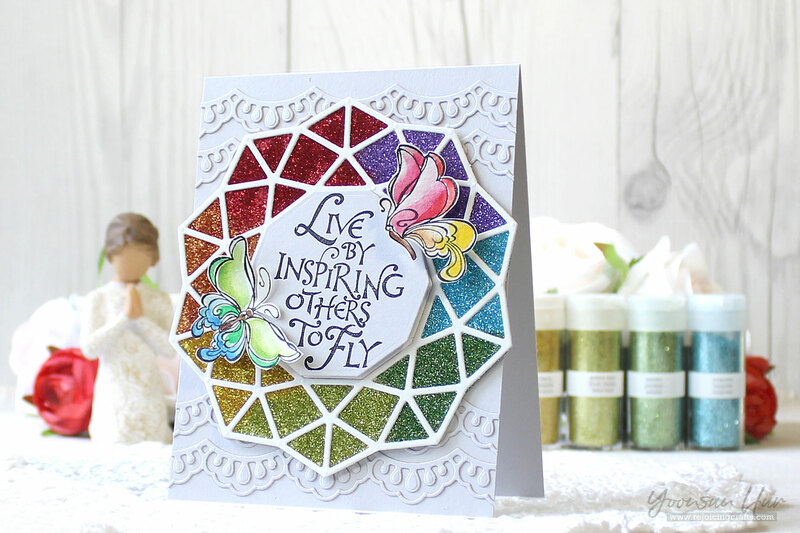 For my card today, I’m featuring the Inspiring Others Stamp Set along with other Spellbinders dies. 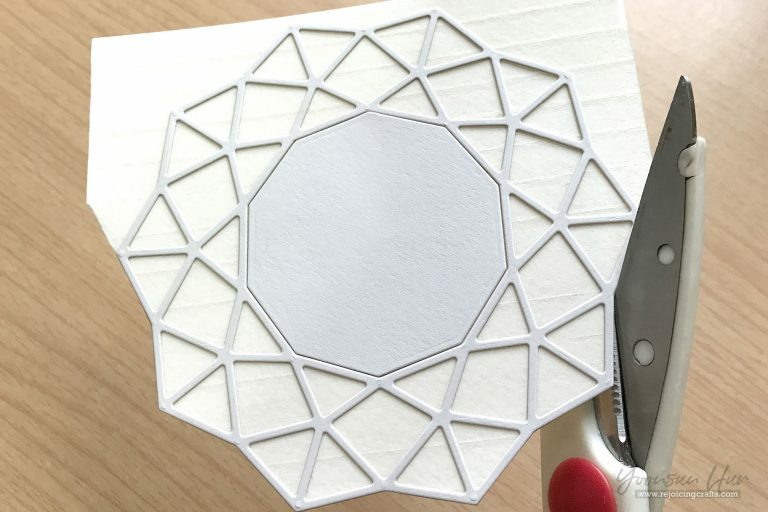 Die-cut Geo Flower die from the Kaleidoscope collection from pale grey card stock. Make own adhesive panel using double-sided tape. Overlap the tapes carefully so there are no gaps. 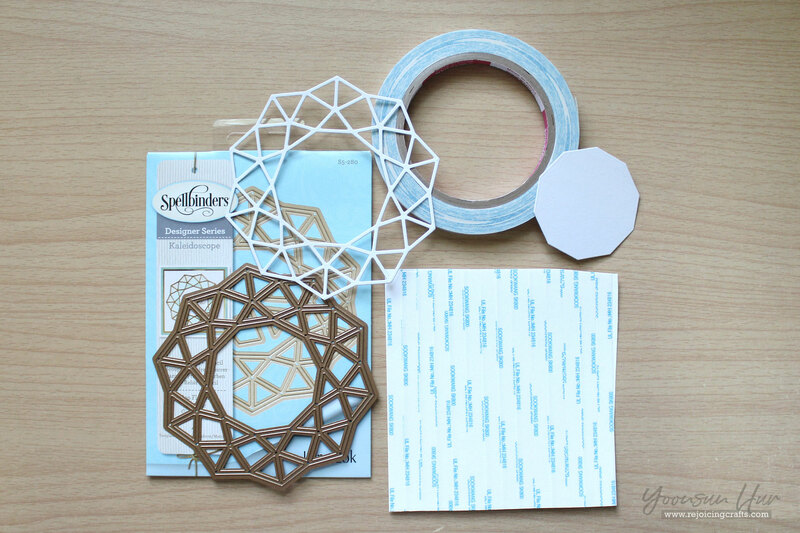 Adhere Geo Flower die cut on adhesive panel. 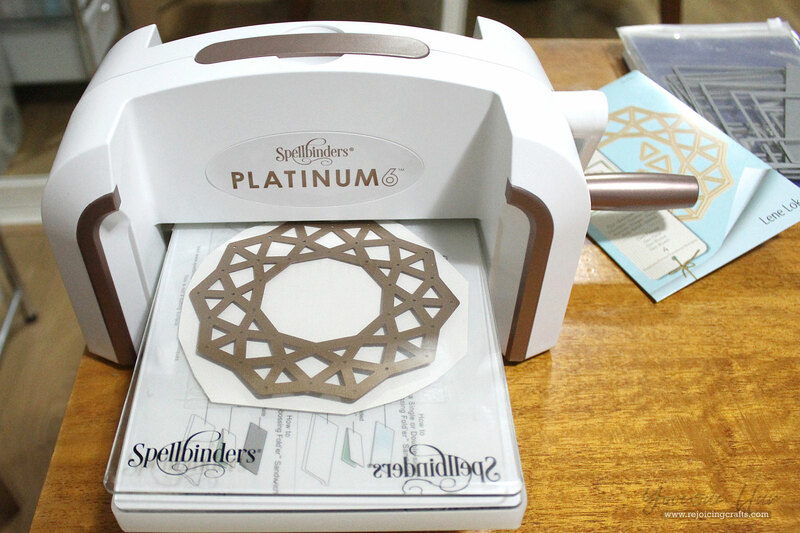 Trim outside of the die cut out using a scissors. 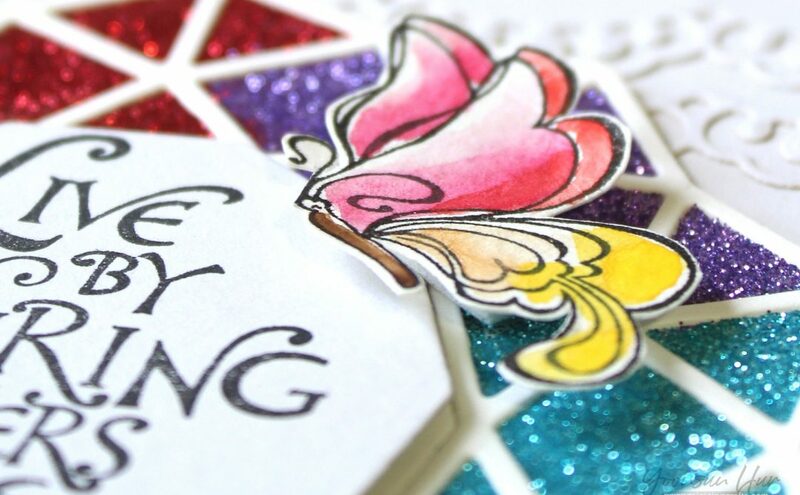 Apply glitters onto the sticky part of the die cut panel. 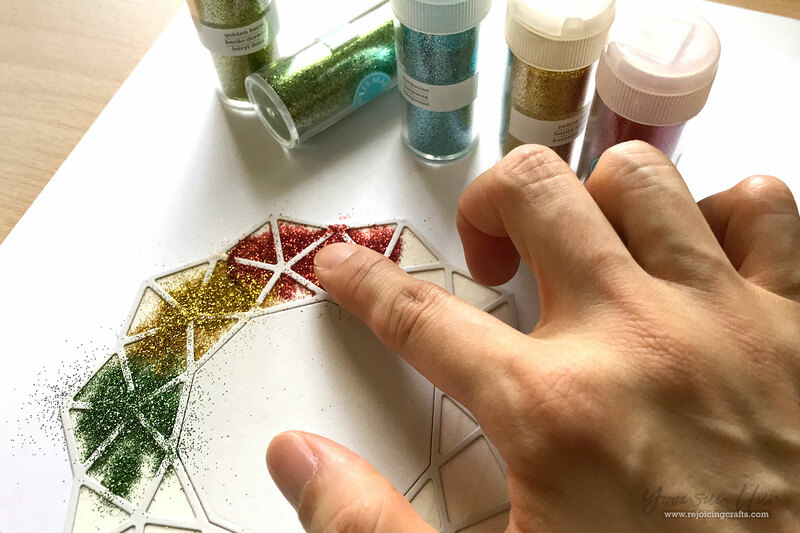 Rub glitter with fingers to set in place. 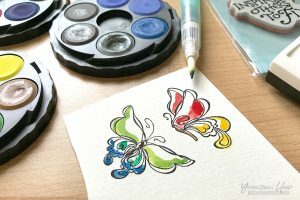 Stamp butterflies from the Inspiring Others set onto watercolor paper using black pigment ink, and then watercolor them. Allow to dry completely. 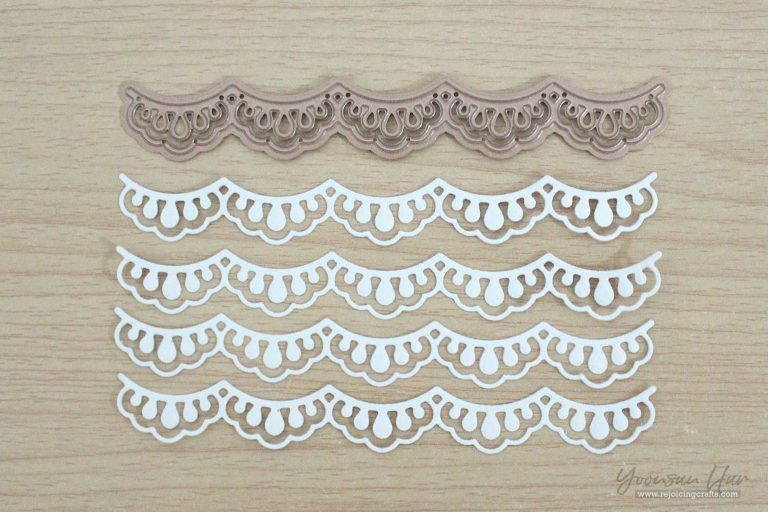 Fussy cut them out. Die-cut 4 laces from pale grey card stock using one of the beautiful lace borders in the Small Die of the February Kit. 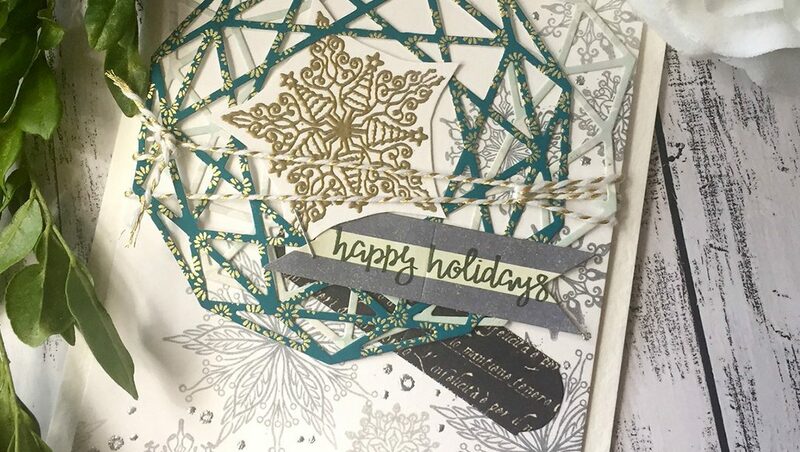 I stamped sentiment from the Inspiring Others set on the same pale grey card stock using black pigment ink, and then trimmed it out using the Geo Flower die set – I just used the solid shape. 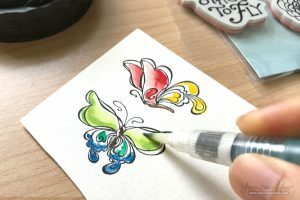 Paper & Cardstock: Simon Says Stamp Fog Gray, Watercolor paper; Ink: VersaFine Onyx Black pigment ink; Watercolor: Hero Arts Watercolor Wheel; Glitters: Martha Stewart Glitter Set. 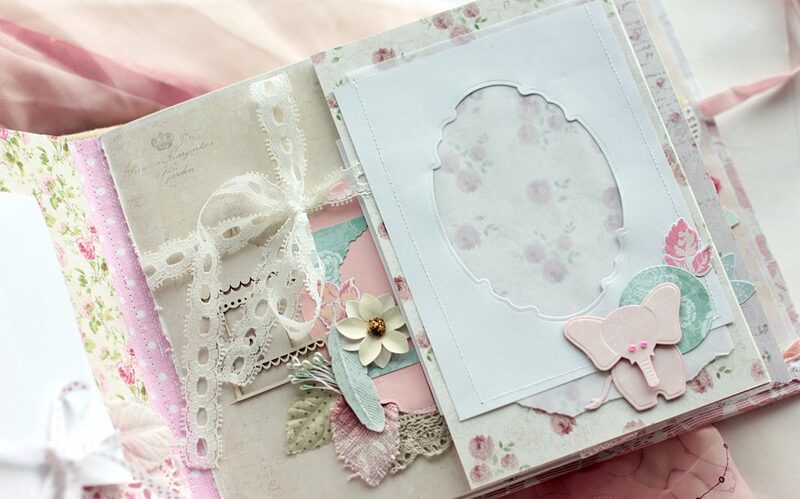 I love the Joanne Fink Bible Journaling collection so much! I can’t wait to share more with you very soon. Thank you so much for stopping by!